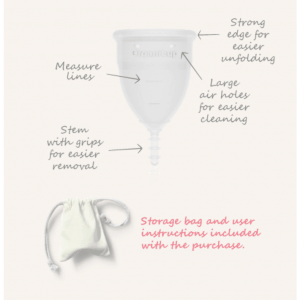 Replace disposable period care products with the OrganiCup. Enjoy all your usual activities with up to 8hrs leak proof freedom. Certified Vegan, Allergy Friendly and with a 90 day Satisfaction Guarantee, what’s not to love! 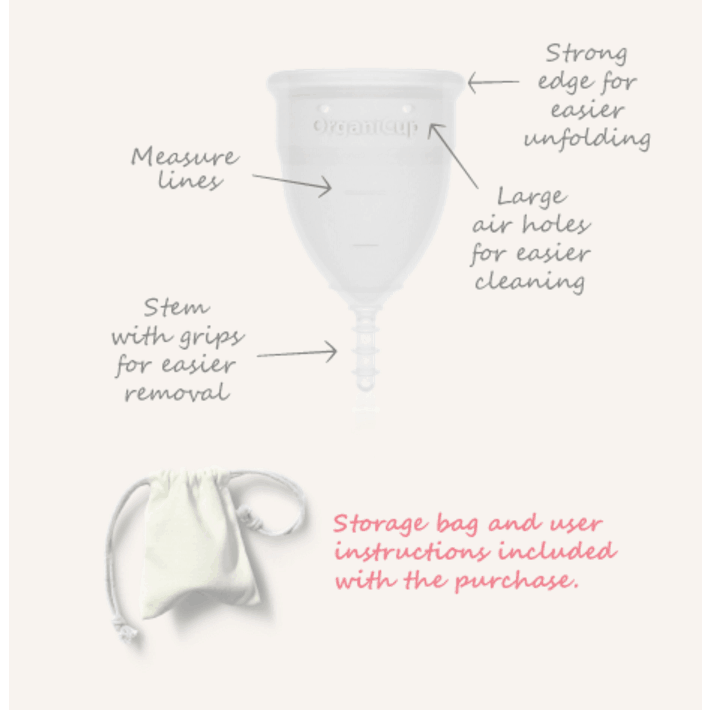 The OrganiCup is a reusable menstrual cup that is easier, healthier, and greener than conventional pads and tampons. 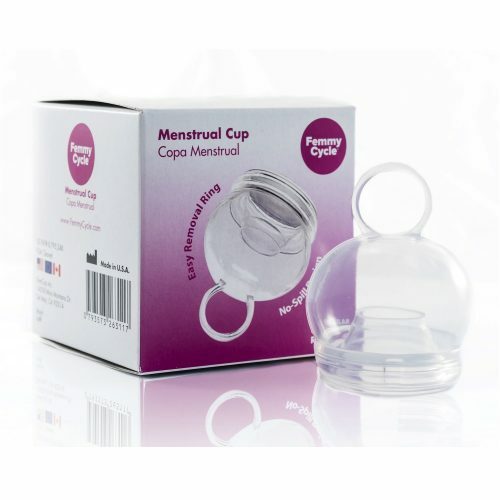 This award winning menstrual cup is Allergy certified, Vegan certified, FDA Registered and offers a 90 day satisfaction guarantee. OrganiCup will last years, saving you money traditionally spent on disposable period care products. 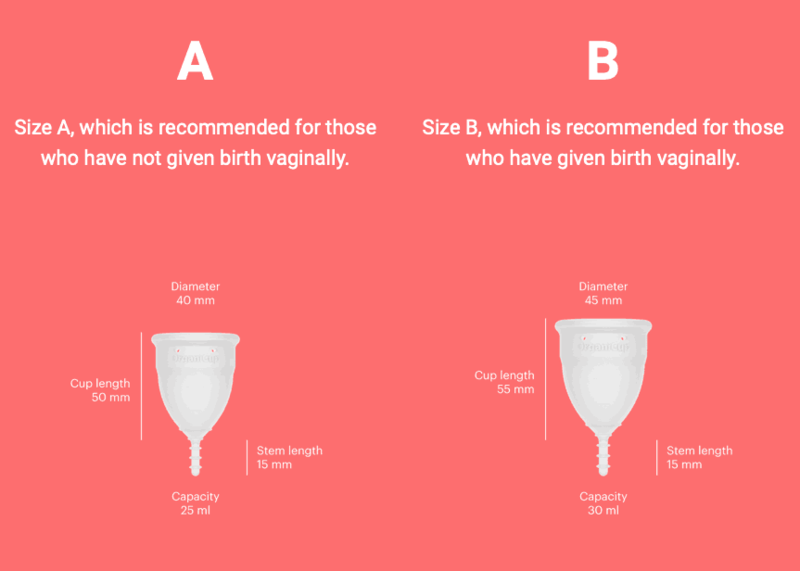 Can be used with an IUD, however, it is recommended to consult your doctor or gynaecologist beforehand. 2. Wear for up to 8 hours. 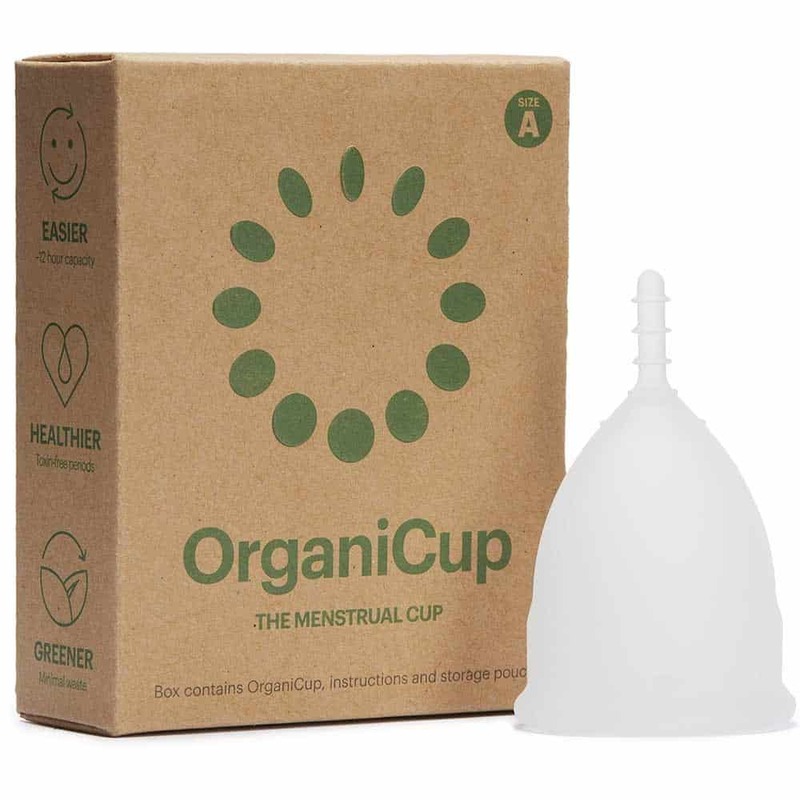 OrganiCup cannot be felt when inserted correctly. Go swim, exercise or whatever you do – hassle free. 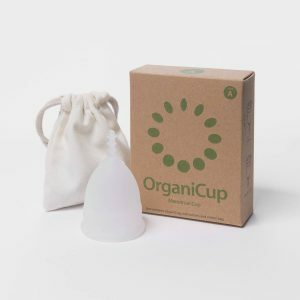 It is worth noting that as with all the other cups, if you have a particularly heavy flow, you may need to empty the cup more frequently early in your cycle. Currently, no organic certification for menstrual cups exists, but we can guarantee that OrganiCup contains no toxins or artificial colouring.